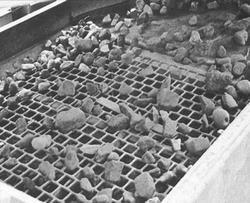 Prominent & Leading Manufacturer from Kolkata, we offer stone crusher screen and concertina razor coil. 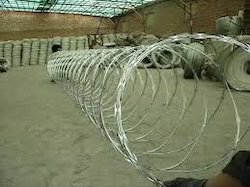 We have full devout in exporting and manufacturing best in class Concertina Barbed Tape Razor Coil. These wires profoundly used fencing high walls in various industries and defence headquarters are well known for their high strength and corrosion resistant traits. Our offered coils are manufactured with high tensile wire as the central core around which tape of razor sharp barbs are machine crimped so as to provide for optimum process support. Moreover, these are supplied to our customers in moisture proof packaging at reasonable price tags. Looking for Concertina Razor Coil ?